Being diagnosed with high blood pressure does not mean having to change every aspect of your life. It means having to watch your diet, to exercise regularly and to take prescribed medications. It also means having to monitor your blood pressure, either daily or weekly, or however often your doctor requires you to do so. Taking your own blood pressure is not a difficult endeavour, and with a little practice, you can become as adept as a nurse at reading and monitoring your own blood pressure. There are many different kinds of blood pressure monitors available these days, and many of them work with the simple push of a button. Determining which kind you feel comfortable with and also which one is most affordable determines a little research and knowledge of a few basics. First, you must decide whether you want a digital blood pressure monitor or an old fashioned analogue style. Both will work equally well, though, the digital models on the market today, are fast, easy and user friendly. If you are familiar with the older models, which are still used in many doctor’s offices today, you will understand the difference between the two. With a digital model, all you have to do is wrap the cuff around your wrist or upper arm and push the button. The machine will automatically inflate the cuff and display a systolic and diastolic blood pressure reading within a minute or less. With an old-fashioned cuff, you will need to wrap the cuff around your upper arm and then with the use of a stethoscope, inflate the rubber ball, pump the cuff to the appropriate pressure and then release a little knob on the rubber ball that will allow the cuff to deflate. This method requires that the user have good hearing, so keep that in mind when shopping. For most seniors, a digital blood pressure monitor is fast, simple and easy. Often, digital monitors will have enlarged numbers for display, making it easy for those with poor eyesight to read the numbers. Not having to listen for heart sounds with the use of a stethoscope makes this model favoured among older people. In addition, many people suffering from arthritis or weak fingers and joints have difficulties pumping up the rubber ball that inflates an old fashioned cuff, something that is not necessary with an electronic digital blood pressure monitor. Keep in mind however, that a digital monitor is more expensive than the older, analogue cuff method, but provides conveniences that more than outweigh the increase in cost. 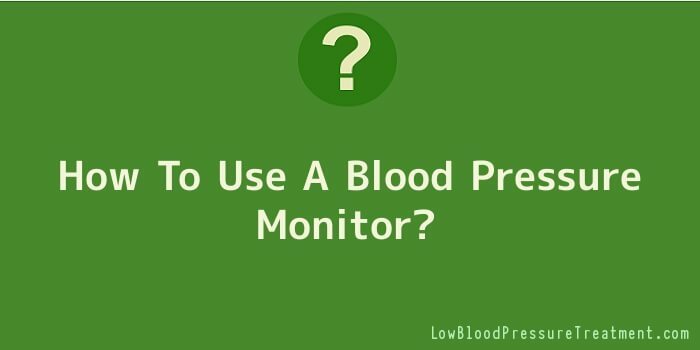 Also, there are several other types of blood pressure monitors available for those diagnosed with high blood pressure, and your doctor may suggest one over the other for various reasons. When speaking with your doctor about blood pressure monitors, ask his or her opinion about which will work best for your condition, abilities and needs. Most blood pressure monitors are covered by health insurance plans, but ask both your doctor and your insurance company before you buy. In some cases, your physician may have to write a prescription for one in order for it to be covered.